Captain Philip banks in the United States, he and the yacht are located in SE Asia, and you are located most likely in a third country. Each time money is moved from A to B the money handlers take a percentage. By the time monies finally reach Captain Philip to buy food or fuel, close to 6% is lost in fees. Before you send someone money in the manner we are about to outline, you should do at least some checking to make sure the person you are sending it to is real. Here are some double checks you can do to confirm. You can get independent confirmation at the US Coast Guard Documentation. Enter vessel name Hot Buoys and notice it has been owned many years by Philip Maise. You can check with the Abanico Yacht Club in Puerto Princesa Palawan. They will confirm Philip Maise is currently preparing his vessel to go to Thailand. Another good indication is the website FindACrew.net. Notice his profile, # 149158, has been active since October 2009. 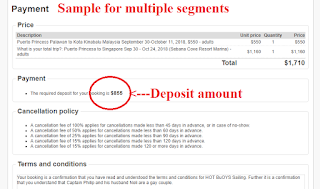 Use our booking page to determine the amount due in US dollars. 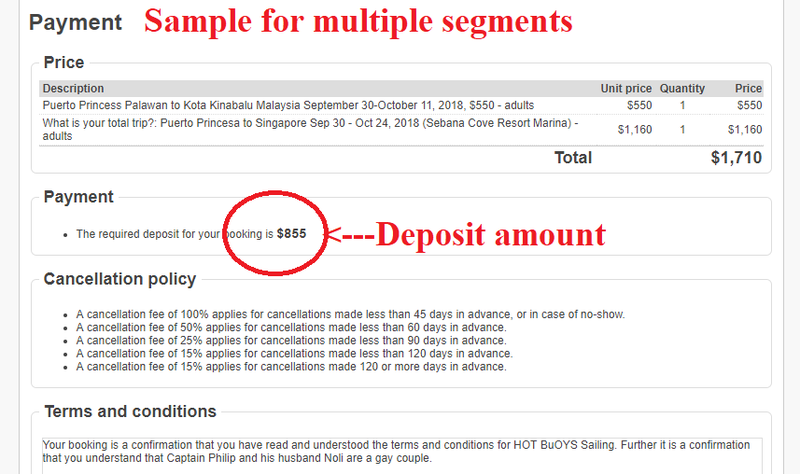 The amount due in this sample booking page is circled. Apply your 5% discount by multiplying by 0.95. If you want to check how much this is in your local currency, then enter the amount below and select your currency. Sign into Xoom.com. 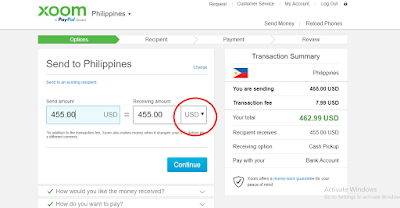 If you already have a PayPal account, then you can use your PayPal login information. Enter the country that the vessel and Captain Philip are currently located. Do not use this payment method after this date until Captain Philip provides you with an updated address. 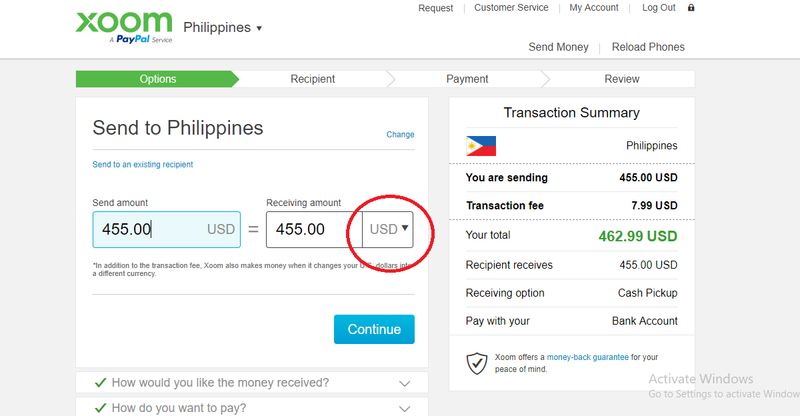 Notice the drop down box in the picture below and select USD. Check the box "Cash Pickup"
Enter how you wish to pay. Then enter Captain Philip's information as follows. Check everything twice before authorizing the transaction. There are close to 100 different companies that are able to move cash from point A to point B and many of them do it very efficiently. Western Union is perhaps the most well known, however, the most expensive. It is not possible to give instructions to you for every firm, however, the information below should work with most. Same as above to find the amount due and apply the discount. 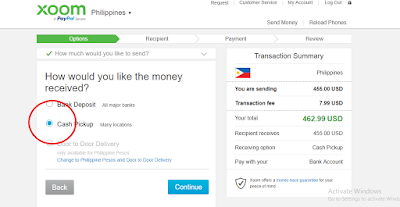 Find a remittance company that sends funds to where the vessel is currently present. Until September 30, 2018 that location is the Philippines. Look to make sure the company you are working with will pay out funds at M Lhuillier or Western Union. Of the two, please select M Lhuillier since they offer a better rate. If possible select destination currency is USD. 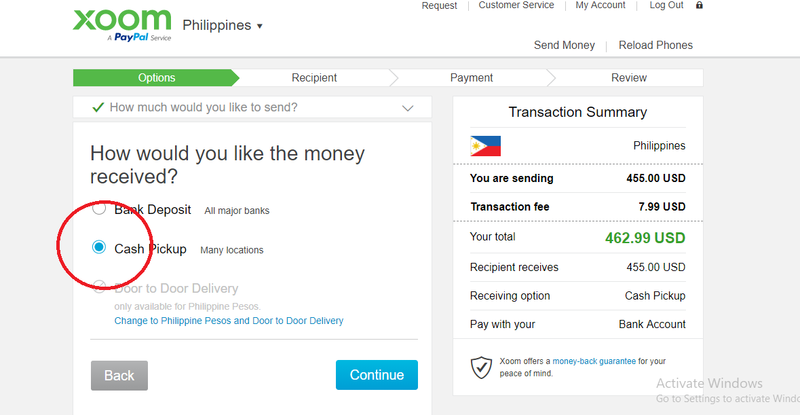 The remittance company will give you a tracking number. Send the tracking number by email to Captain Philip.